I am craving me some fall around here, friends. Life has been so busy that the chance to cover my house in fall has been non existent and I just can’t take it anymore! You already know my intense love of fall food. Soups, pumpkin, hearty dishes, pumpkin, and more and more pumpkin. I just can’t get enough! With all the love I have for fall it’s a darn shame we don’t actually get “fall” in our parts. You guys, it literally hit 100 degrees today. 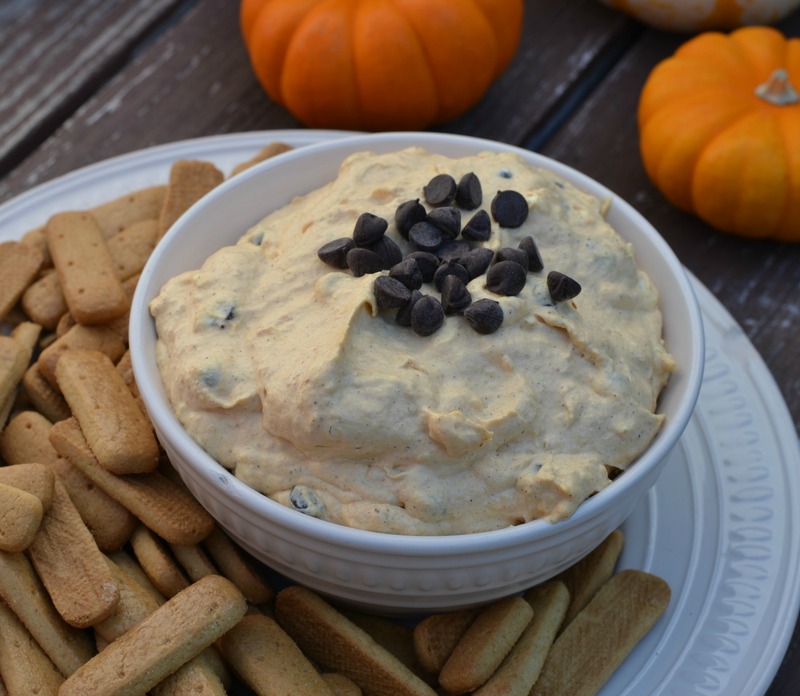 Once again I am willing fall to get here is quick as it can so I am hoping this Pumpkin Chocolate Chip Cheesecake Dip will help! This recipe is so delicious! What’s better than plain pumpkin? Pumpkin and chocolate. Graham Cracker sticks for dipping or other cookie of your choice! Cream the cream cheese and powdered sugar together. Once mixed well fold in all other ingredients. Chill for at least 30 min. Serve with graham cracker sticks and enjoy! 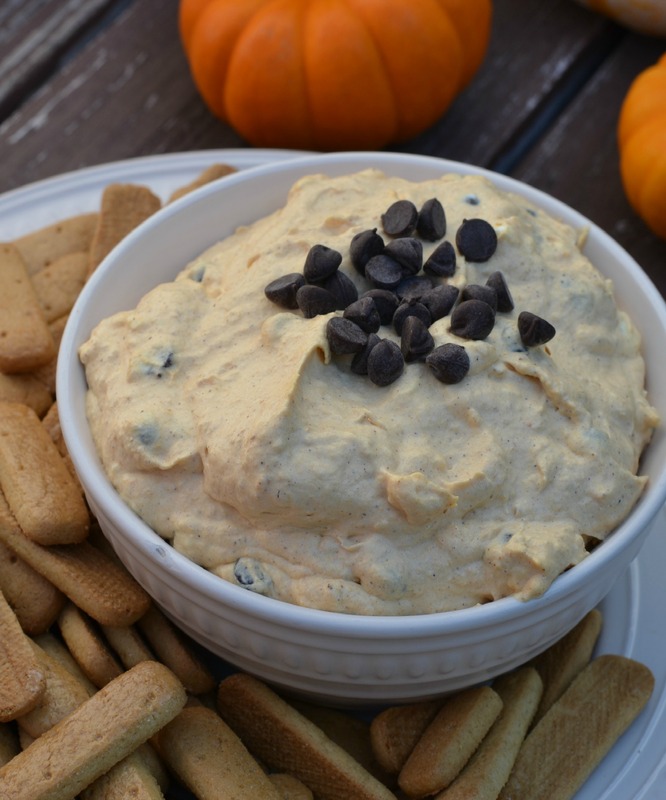 This Pumpkin Chocolate Chip Cheesecake Dip recipe is definitely going to be a hit over the next few months. It’s delicious, easy and perfect for any occasion! What are some of your go to recipes for fall?